A few days ago, J opened a drawer in one of our new cabinets and discovered some unusual plumbing. We were about to have cold running water inside a pot drawer. Handy for washing them, I guess, but kind of messy. 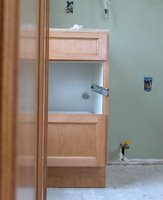 Apparently, the plumber forgot to raise the pipe above cabinet level, and the cabinet installers just worked around it. 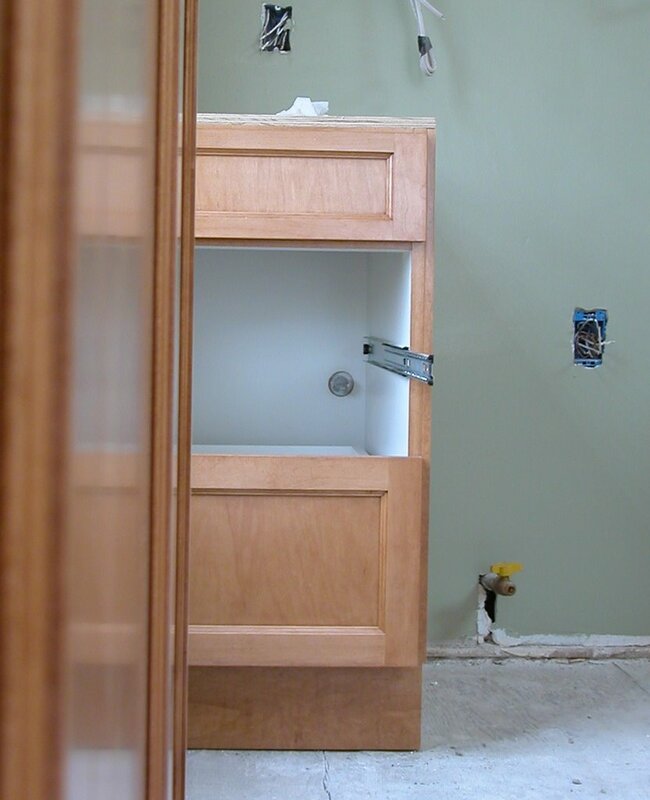 It's fixed now, although the drawer and cabinet back will keep the little round hole as a permanent momento. 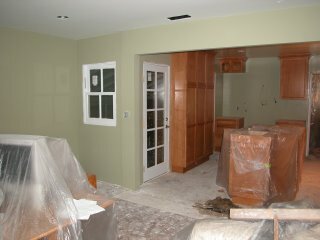 The kitchen and family room are now painted green. It was a somewhat hasty decision, so I hope we'll continue to like the color. If not, at least paint is the easiest thing to change. it looks very good! I really like the colors of the walls and cabinates together.